Imagine yourself in Bresha Meadows’ shoes. Imagine if your father was constantly abusing your family and threatening you with a gun. What would you do? It would be his life or yours. We are writing to you as members of the Asian Pacific Islander Legal Outreach Youth Advisory Council, a group of youth peer educators from the San Francisco Bay Area who aim to safeguard our communities from domestic violence and support survivors like Bresha, who are often unfairly criminalized for doing what they must to end the violence they face at home. Please take a step back and view things from Bresha’s perspective before proceeding with filing criminal charges in her case. We believe that it’s unfair that Bresha is being prosecuted because she’s a victim of domestic violence, which the case against her completely ignores. She’s a young girl who was abused and didn’t have any support or resources to turn to, especially after she ran away from home and took other proactive, non-violent measures to escape her situation. This prosecution fails to understand Bresha’s true motives and intentions to escape a life of abuse. She does not deserve to be charged because she was solely trying to protect herself and her family after her cries for help were ignored by the authorities. She desperately asked police for help to end the violence and didn’t get it, so she had to get it done herself. Bresha did what she did in order to defend herself. Do you believe it is right for a 15 year-old girl to be abused? A 15 year-old should not be charged for aggravated murder. She was abused her whole life, and killing her father was her last resort. Bresha has spent her entire life in a state of constant fear for her life. If you were to charge her with aggravated murder it would just perpetuate the injustice that she has experienced since she was a child. You would be exposing that your office is just like other law enforcement agencies around the country that aggressively prosecute domestic violence victims; that is, you aren’t actually intended to protect the people you claim to serve. Please consider Bresha’s situation by looking at the bigger picture of her abusive environment. A 15 year-old is not an adult and self-defense should not be called “aggravated murder.” We should be considerate of her position as a child and her inability to receive efficient help. Bresha needs justice! It is unfair for Bresha and her family to face murder charges after experiencing everything that a 15 year-old should never have to go through. Bresha Meadows Is Out From Behind Bars—But What About Other Abuse Survivors? 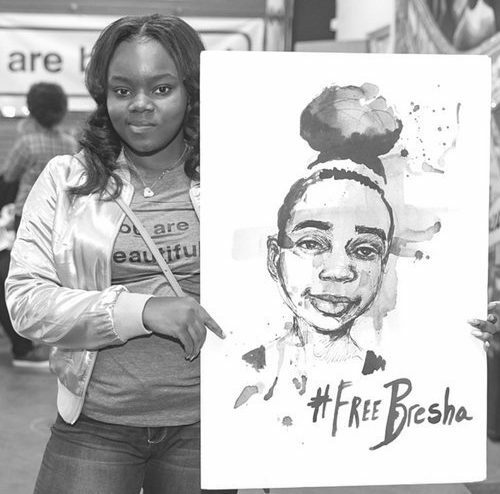 #FreeBresha is a group of individuals and organizations calling for Bresha’s immediate release. We affirm Bresha’s survival as a child deeply impacted by domestic violence. 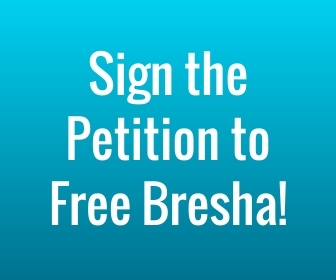 We call for Bresha’s freedom and reunification with her family.